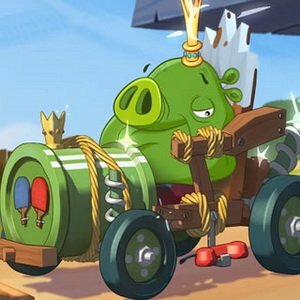 Angry Birds King Pig Puzzle is a jigsaw puzzle game. There are two game modes you can play; sliding and jigsaw. In sliding mode you can only move one tile at a time, one space at a time. Jigsaw mode has four difficulties; easy, medium, hard and expert. You're racing against the clock to complete the puzzle but you can turn off the timer if you'd prefer.